 The Energy Cooperative has a program available for electric members, which will enable you to heat your home more economically. The Dual Fuel heating system consists of two separate sources of heat. The primary source is the electric heat pump and the secondary source is a gas or fuel oil furnace. When you install a dual fuel system, you may be eligible to receive a $599.00 rebate. Why would the use of two different fuels save me money? It’s a matter of efficiency. During moderate winter temperatures, the electric heat pump is one of the most economical method of heating. During times of extremely cold weather, fossil fuel is more economical. By switching from one system to the other, you can consistently heat your home with the most economical fuel. An outdoor thermostat is used to automatically switch from one heating source to the other at a designated temperature. What about air conditioning in the summer? In the summer, the heat pump reverses the heating function and serves as a central air conditioning unit to cool your home. Stop by the Energy Cooperative Newark office prior to the installation of your dual fuel system. We will give you a radio control switch (RCS) and two forms that must be completed and returned. The Appliance Rebate form and the Member Agreement form both must be completed and returned to our Newark office. The radio control switch is to be installed by your HVAC dealer at the same time your system is installed. After the system is installed and the two forms are returned, the Energy Cooperative will make a required system site inspection. After an approved inspection, your rebate application will be processed and a rebate check will be mailed directly to the recipient listed on the Appliance rebate form. Where do I purchase the heat pump? Most heating and cooling dealers sell electric heat pumps. Contact the dealer of your choice. A good rule of thumb is to obtain three estimates to determine your best deal. Do not hesitate to ask your HVAC dealers for references. Call Member Services at (800) 255-6815.